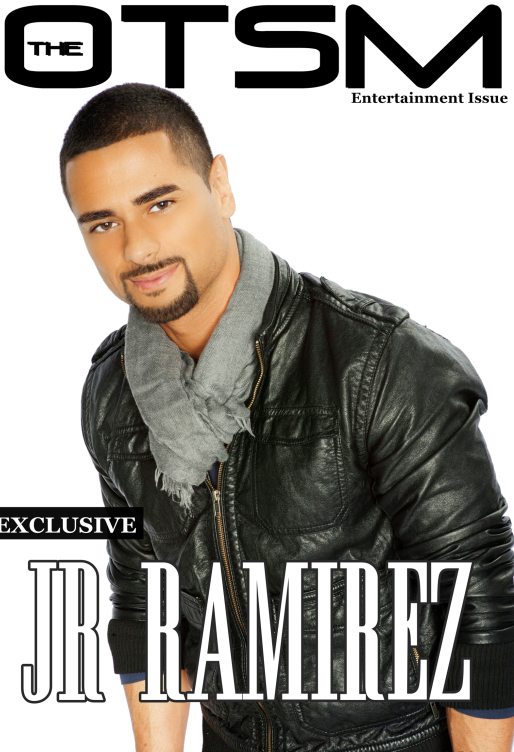 Exclusive Interview With CW's Arrow Actor And Starz series Power Actor - J.R. Ramirez. Hi JR, what was life-like Growing up & when did you decide to launch a Career in the Movie Industry or was there any other career you were interested in before you started acting? I was born in Matanzas Cuba. When I was just a few months old, my parents moved to the States in hopes of providing me with a better future. We moved around a bit as a child but settled in Tampa, Florida. After college, I moved to Miami where I started modeling and doing a lot of commercial work. I started taking acting classes and caught “the bug” and, after a few years, I moved to Los Angeles where I continued acting classes and became a working actor. Who are some of your Biggest Influences in the Movie Industry? There are so many amazing, talented artists in this business but Daniel Day Lewis holds the top honor with me. For me, his commitment, containment, and raw presence is everything I’m striving for as an actor. As well as, his choices in the roles he plays. Simply put, he’s a chameleon…and brilliant! As for directors, again, there are so many great ones, but David Fincher is, and has always been, one I can’t wait to work with….as well as, Christopher Nolan and Peter Berg! What are your views about the Hollywood Industry today & if you could make changes to the Industry what would it be? The industry has changed quite a bit. Nowadays, there are so many avenues for programming than there was 10 years ago. Between Netflix, Amazon and all these new channels (that, mind you, are doing top quality work), it’s opening so many more doors for actors to show their chops. One thing I would change is the process of auditioning. I feel it often is so limiting to the work that an actor can actually do. It’s the process they’ve used since the start, but I feel the casting process would be more effective if casting offices would have actors read with other actors, rather than with the casting director, that way they can focus on watching the actors performance. I believe it would make for a more fulfilling experience for all involved. What advice would you give to aspiring actors & actresses who wish to have a successful career in the Movie & Entertainment industry today? I would start by asking them if there’s anything else they’d like to do with their lives?! Seriously, anything at all?!?!? And, if there is, I’d tell them to do THAT instead! LOL, This career choice is one that truly needs to stem from the depths of your soul. I’d say, if they really wanted to act, then start searching for their voice and for who they truly are. This business can be so hard at times. It can tear you down, literally, so if you aren’t grounded, strong, confident and KNOW that this is the ONLY thing you are here to do, then it just eats you up and spits you out! With that said, it is one of the most rewarding jobs you can ever have! We get to go to work every day and play! The satisfaction you receive while you’re working and stretching is worth EVERY ‘NO’ the business will hit you with! What are some of your best Health & Fitness tips that keep you healthy and Fit? I don’t think there’s really any science to it all. I think you just need to eat healthy, exercise and find a happy balance. Truly. As long as you workout consistently, you can find those days to sit and have a burger or pizza. Overall, you have to train and keep that blood flowing. I’m an avid hiker and it’s the best form of therapy I could ever ask for. I’m in the gym three times a week and I definitely have my cheat day. Looking back to the Start of your Career, What has been the biggest hurdle you have had to overcome? This was hard for me in the beginning. I spent the first few years going out for the stereotypical latino gang banger or cholo role. It was something that was not me in so many ways. Not saying I couldn’t play one, but it was literally ALL I was getting sent out for. I would walk into a room and sit down next to a guy who was tatted from head to toe. Just by appearance alone, I felt a step behind. That was something that I had to overcome and grow from. What has been the best role you have had to play since the start of your career? I would have to say the role of “Cal” in DESTINATION WEDDING is my most favorite. It was something that scared the living daylights out of me because, in large part, it was improvised and, not only was I not familiar with improvisation, but I was surrounded by a group of talented improv actors! It was so much fun! It made me really want to dive into more comedic roles. I can’t wait to see how it turns out. What are some of the greatest fears you think actors/actress face? I think the greatest fear actors have is the sensation of not being good enough and what that truly means. We put ourselves out there on a constant basis and pour everything we have into auditions. Any actor would be lying if they said the NO’s we receive, more times than YES, doesn’t affect us. It’s really hard to hear, but that why you have to breathe it and love it in every way because, then, those NO’s become fuel and you start to realize, most of the time, it has NOTHING to do with your work! You get to the point where you give it all you have, and then you leave it in that room…PERIOD. I’ve realized, when a job is yours, no one will take it away. The key is to keep working and believing in yourself…and don’t forget to play and have fun! !